When living in Singapore, your aircon is precious to you and should be taken care of so that it doesn’t break down. This article will help to show you some ways you can get your air conditioner cleaning done by yourself easily. 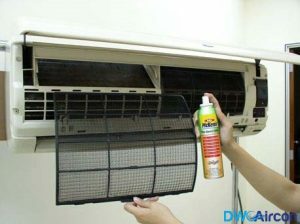 Clean the air filters – Any aircon cleaning service in Singapore will advise you to clean the air filters first because they are the parts that keep you away from dusts and other particles. To clean your air filter, take it to a bath tub filled with equal parts of water and vinegar and then let it soak for a few hours. This helps to kill any germs or allergens that may cause you to uncomfortable. Allow it to dry and put it back inside the aircon. 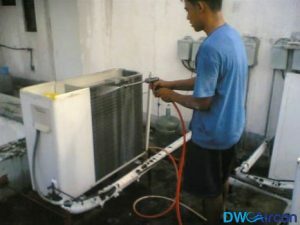 Clean the condenser – Condenser cleaning is an important part of aircon cleaning in Singapore. 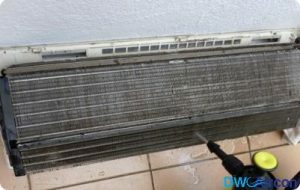 You can use a vacuum cleaner to clean the outside of the condenser and then unhook the cover and do same to the inside. Screw drivers may be required to remove the outer casing to allow you to have unfettered access to the components for proper cleaning. 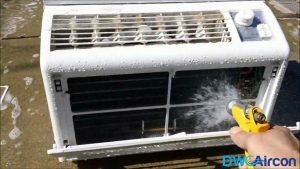 Using chemicals for cleaning your aircon – Chemical cleaning is an effective way of removing dirt, germs and any other corrosive material that could damage your aircon. For this, we recommend that you use an aircon cleaning service for this. The process of aircon chemical washing is done by a skilled technician who will take most parts of your aircon and clean each one separately and thoroughly using a chemical solution. This cleaning method is extremely effective for helping to prevent fungi and other microbial growth. Clean the ducts – You can thoroughly clean the ducts of your air conditioner by removing the vent cover and use a solution of vinegar and water to remove any mould that may be in your air conditioner. You can also use a brush to scrub the surface to remove strongly adhered particles to the duct. Don’t forget to clean the walls and cover to remove all particles. Clean the outside unit – Check the outdoor unit of your air conditioner to be sure there is nothing blocking the fans. You should also have a professional check the fan motors for cracks and chips which may indicate that it could be due for replacement. DW Aircon Servicing Singapore provides you with cheap and effective aircon cleaning service in Singapore. We will help you extend the lifespan of your air conditioner and make sure that your home is cool and the air healthy for you and your family. We will be happy to assist you with your aircon repairs, installation and cleaning no matter where you are in Singapore using our team of experienced and highly trained technicians. Call us today on +65 6652 2988 or send an email to enquiry@dwaircon.com to book a free consultation appointment.